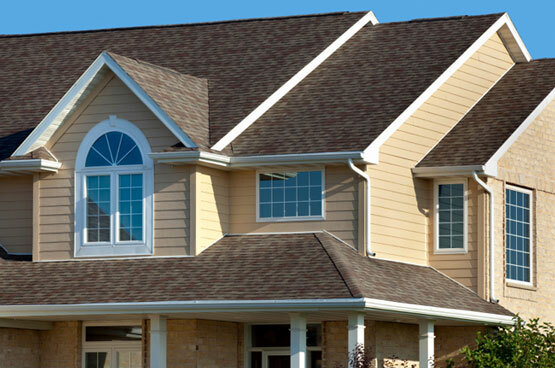 Why Choose Beyond Custom For Soffit and Fascia Installation? Our name defines our expertise. Beyond Custom. Soffit and fascia installation is one of our primary specialties. The people of the Chicago area and surrounding counties are a hardworking lot. It makes sense that we want our homes to be long-lived and reflect the quality of our labors. Proper soffit and fascia installation not only enhances the beauty and curb appeal of your home, it contributes to property value and longevity. Located in Elgin, Beyond Custom know soffit and fascia installation inside and out. The venting of our panels feature an outward weave design that maximizes visual attractiveness while simultaneously supplying vital attic ventilation. Solid, vertical panels can be fitted for outstanding visual appeal at each entrance and at the end of each gable. The soffit is the area beneath a roof’s overhang. 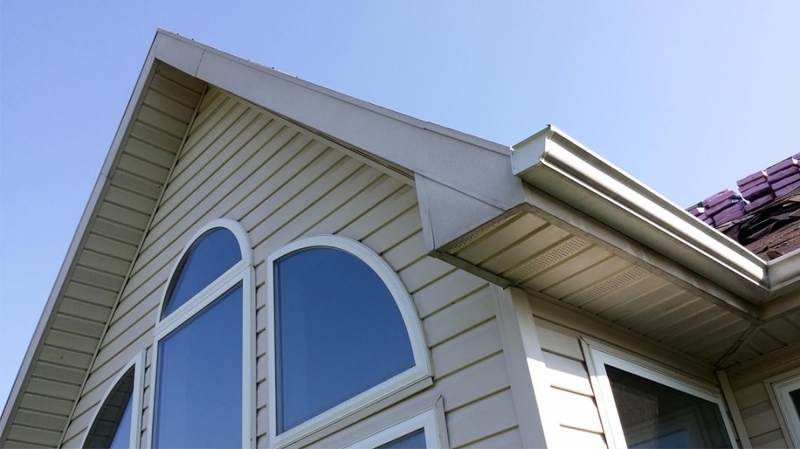 The fascia is the horizontal edge that attaches to the soffit and presents a neat, finished look to a house’s exterior. 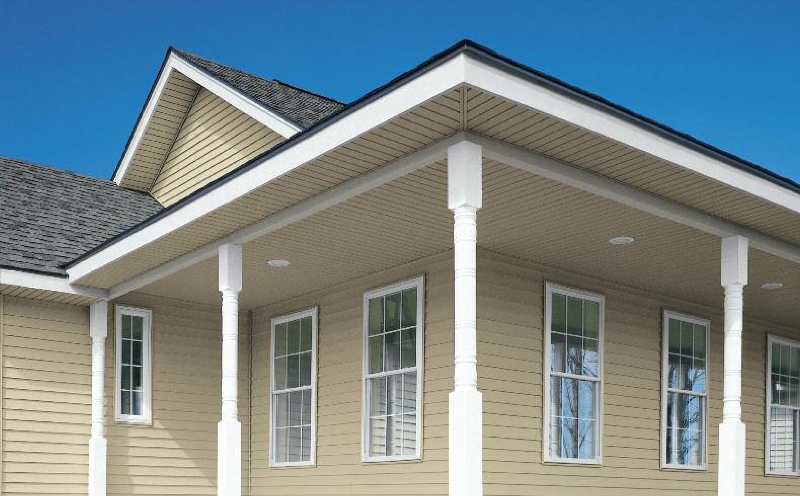 Beyond Custom works with two particular kinds of soffits and fascia. But whether you prefer vinyl or aluminum soffits and fascia, we guarantee you’ll be thrilled with the results. That’s because Beyond Custom is dedicated to outstanding customer service. It’s the bedrock of our business philosophy because not only is it simply the right thing to do, it’s also the best way to grow our business. Happy customers are repeat customers, and positive word-of-mouth advertising is the very best advertising. 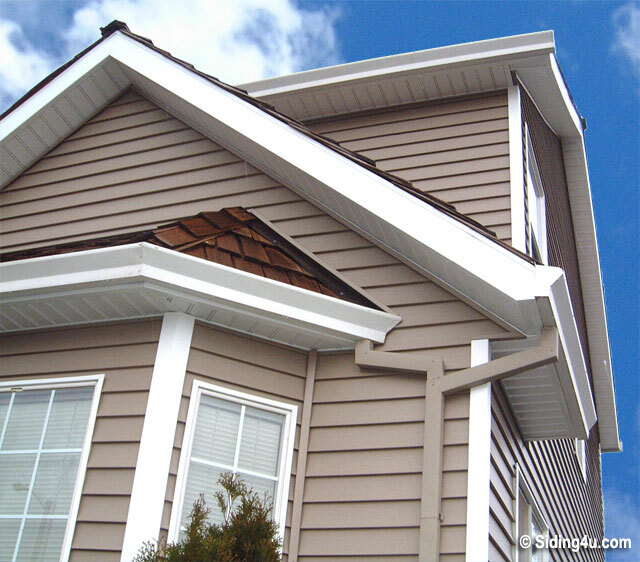 We do soffit and fascia installation all over the Chicago area and surrounding counties. Our expertly trained pros won’t just make sure the installation is done right. We respect that, as a prudent homeowner, you have a budget. So we’ll keep an eye on your soffits and fascia cost, too. Doing the job right the first time goes a long way in keeping soffit and fascia installation costs down. That’s why we start with the soffit first, then install the fascia parallel to the soffit’s edge, thus enhancing the appearance of your home and adding to its value. Give us a call at (630) 806-1690. We’re happy to answer questions and provide a no-pressure, on-site free estimate. You can also use our Contact Us Page. Either way, we look forward to hearing from you!